Jose Mourinho wants Ivan Rakitic in return if Barcelona wish to land Paul Pogba this summer. Manchester United have been pretty busy this summer. Jose Mourinho wants to ensure that his squad is capable of putting up a strong fight for the Premier League and the Champions League next season. The Red Devils have been linked with a number of players over the past weeks. But it seems like their top midfielder could be subjected to interest from Barcelona this summer. Ernesto Valverde decided to allow Paulinho to make his return to China on a loan basis, freeing up a non-EU spot for Arthur Melo. Veteran Andres Iniesta called his time at the Camp Nou and joined Vissel Kobe in Japan. Therefore, Barcelona are now in desperate need of a midfielder capable of stepping in for the Spanish maestro. As per reports, the Catalonia-based side has identified Manchester United‘s Paul Pogba to solve their midfield issues. His performances in Russia caught the eyes of Ernesto Valverde, and a bid is expected to be made soon. Don Balon reported that Jose Mourinho is willing to let go of Paul Pogba if he gets to sign Ivan Rakitic in return. The Croatian International enjoyed a wonderful World Cup, but just fell short of bringing the title home. Rakitic has been a key player for Barcelona over the years, having also played the most number games for them last season. But Pogba would also be an amazing signing for Blaugrana. The Frenchman is a key part of Mourinho’s plans at Old Trafford. But their relationship did take a major hit last season, when the United boss chose to start Scott McTominay ahead of Pogba, but the decision was purely based on the latter’s poor performances. 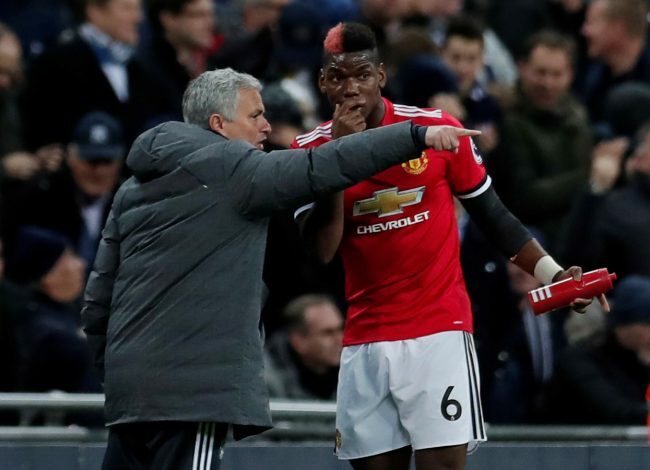 Pogba shut his critics’ mouths this summer, however, as he led France to their 2nd World Cup title, and Manchester United are bound to hold onto him at any cost. Barcelona will have a much younger and efficient player to dictate play from the middle of the park if they seal this deal. Pogba could fill the hole left by Iniesta, and also destroy Real Madrid‘s supremacy in Europe.